With a performance career spanning five decades, Charlie Austin has played professionally across Western Canada in a variety of settings, including The Tommy Banks Show on CBC and the 1970's and 80's ITV Concert series, where he accompanied singers such as Mel Torme, Henry Mancini, Viki Carr, Connie Stevens, Carol Lawrence, and others. Charlie was the house band pianist and arranger for Second City Television (SCTV), produced in Edmonton. Jazz performances include dates with CBC Radio-Jazz Canadiana and Sam Noto. For over thirty years, Charlie taught in Grant MacEwan University’s Jazz Program, where he influenced a generation of Western Canadian jazz musicians. 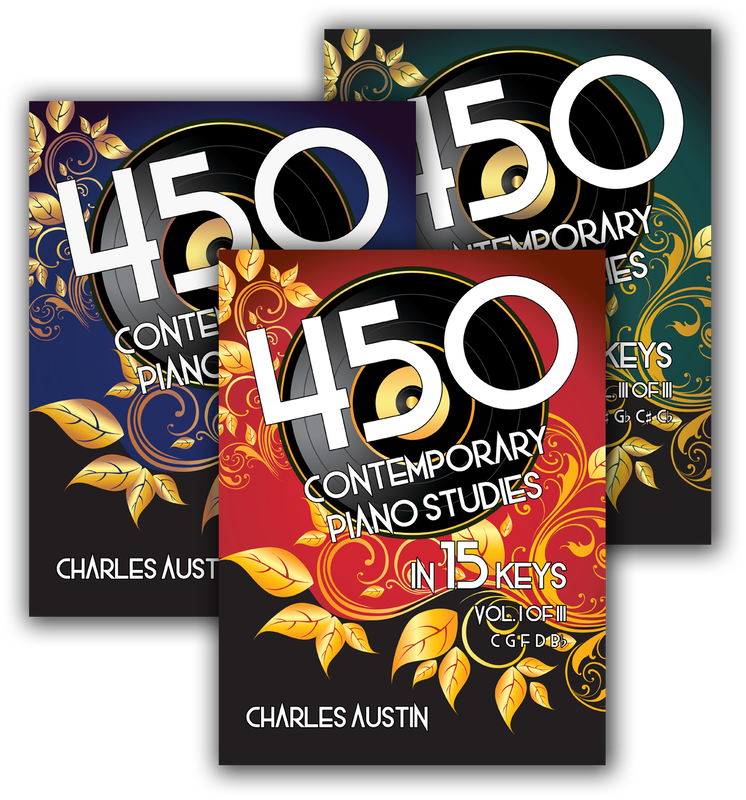 An Approach to Jazz Piano, his comprehensive jazz piano text, and 450 Contemporary Piano Studies in 15 Keys, his groundbreaking collection of studies in popular styles in all the keys, have been sold around the world. Now retired, Charlie continues to perform, teach, record, and inspire, releasing albums IT COULD HAPPEN TO YOU in 2016, IF I SHOULD LOSE YOU in 2012, and HOMAGE in 2014. The most comprehensive jazz instructional text available today. Revised and updated Fifth Edition available as a 456 page coil-bound paperback or PDF eBook. More..